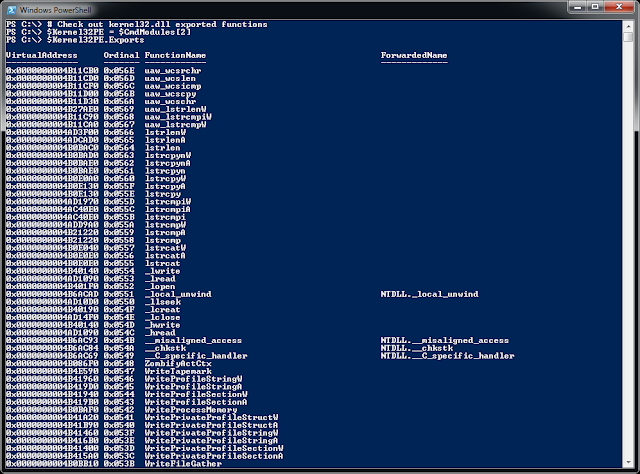 One of the reasons PowerShell is so powerful is in its ability to access to .NET framework. In theory, this should make the transition for C# developers seamless. 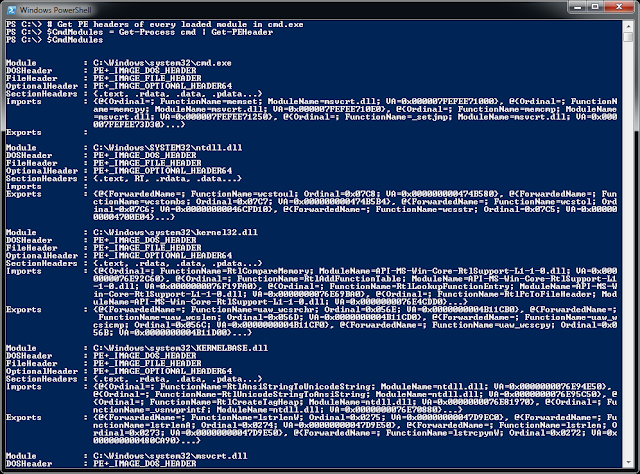 Unfortunately, PowerShell is not quite a one-to-one translation of C#. I demonstrated where this is not the case in a previous post by illustrating the hoops you need to jump through to declare a delegate type in PowerShell using reflection. Declaring an enum or struct is no different. Before I jump into the technical details, it's worth addressing the question you may have already formed. 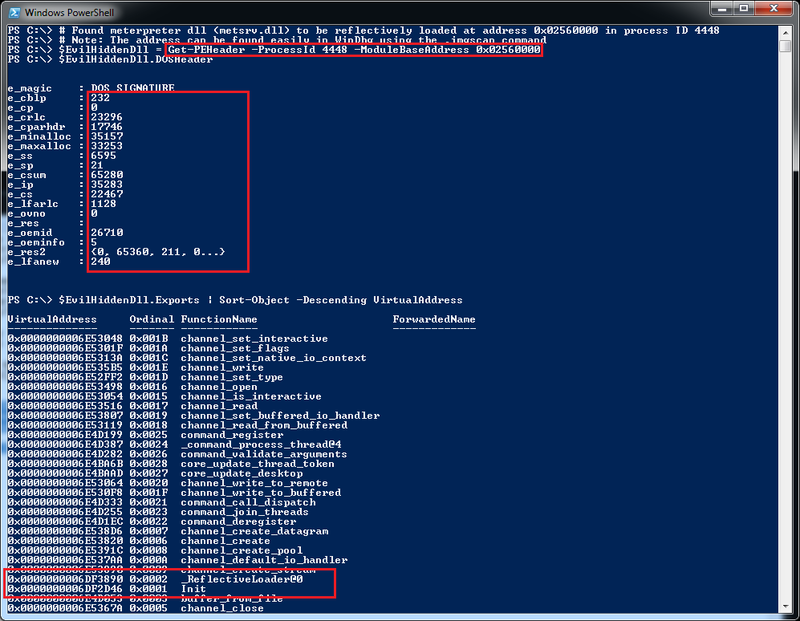 Why don't you just compile C# code using the Add-Type cmdlet? Well, that is a perfectly valid method of declaring a struct, enum, delegate, etc. 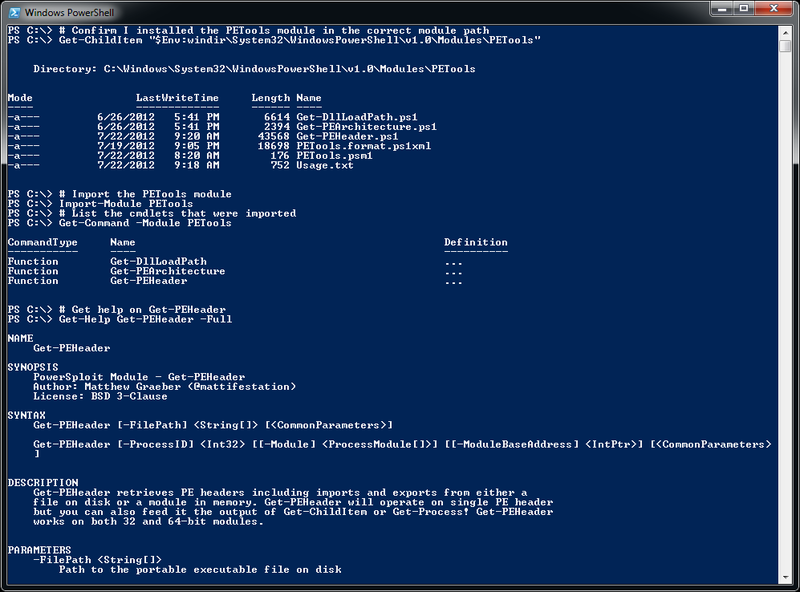 However, compiling C# code leaves artifacts on the disk. 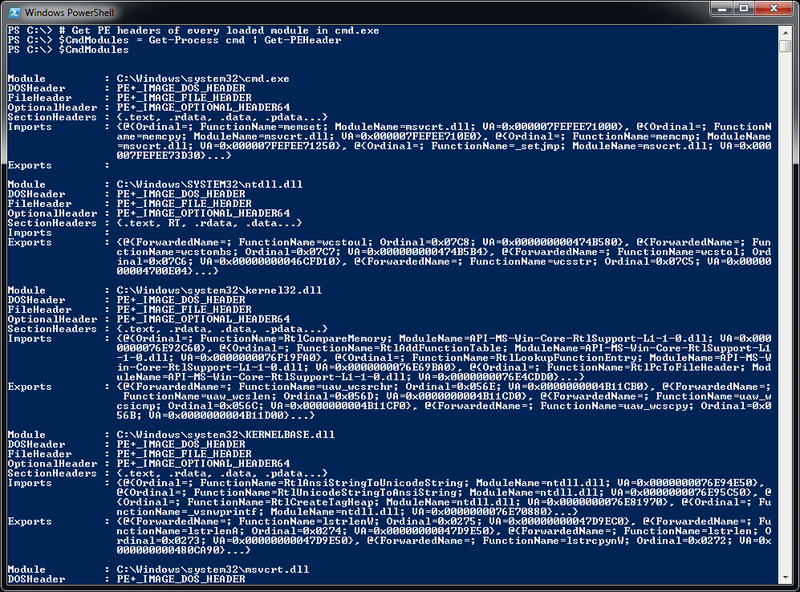 To prove my point, just run Procmon while compiling C# in PowerShell. As someone with an attacker's mindset, I prefer that all operations take place in memory unless absolutely necessary. Fortunately, true memory residence can be achieved using reflection. 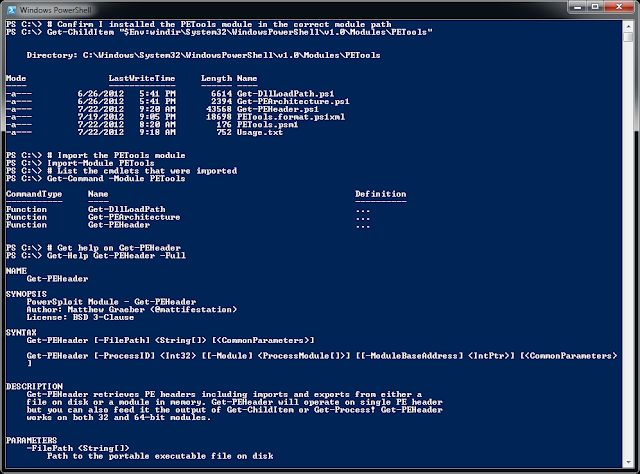 As you can see, the C# 'code' above defines an enum and a struct that are compiled when Add-Type is called. The need to compile the code above can be obviated with reflection. 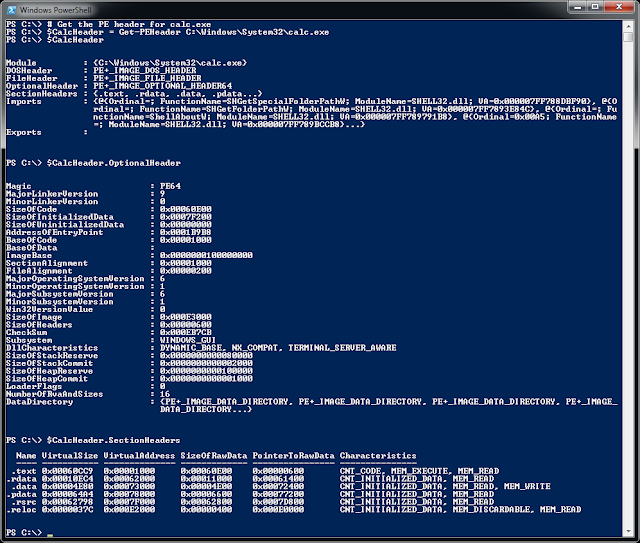 This however requires some understanding of the attributes that define the fields in the enum and struct above. 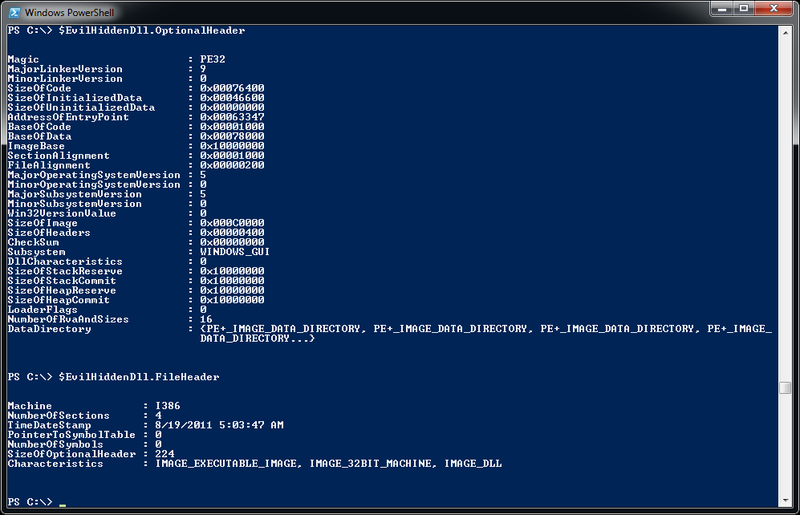 Interrogating these attributes can be accomplished with ildasm or PowerShell. 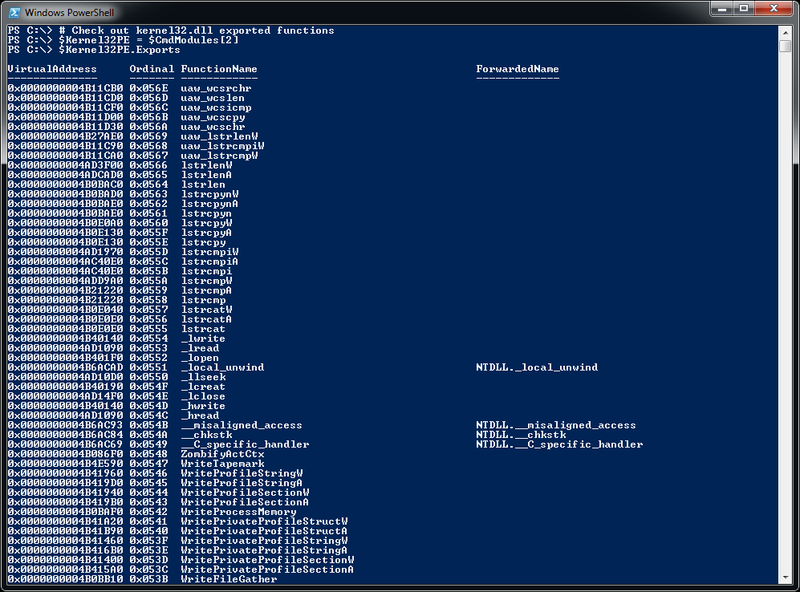 I'll show you how to do this in PowerShell. # There is no such thing as a DefineStruct type. So define a type with the attributes of a struct. # A struct is essentially a class with no methods. By now, you can see the additional overhead required to dynamically generate code. However, if your goal is to avoid compiling code and remain truly memory resident, this is the way to go. Expect to see an update to Get-PEHeader that will implement these changes in the near future.